A feeling – Annabella's Kiss! Welcome to the Blog site for Tony Brady's 'Thousand Scars' series! Earlier tonight I read a post on Facebook that Sebastian Groff had put up and I was inspired to comment on it. He mentioned one of the most eerie and powerful things that we experience as writers. Something that only we can experience and I believe It’s a true touch of magic here with us. He had mentioned how sometimes a story will turn to a direction that we had never seen coming or ever really thought possible. I honestly think that is one of the closest things to real magic that I have ever experienced! 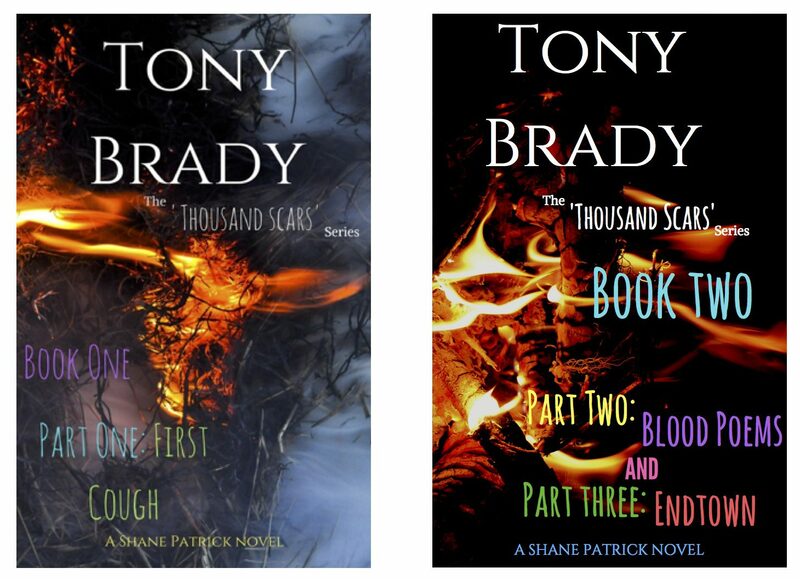 For example, my main book series that I’ve written is the ‘Thousand Scars’ series and the main character is a man named Shane Patrick Edwards. When I first started writing the series I was totally in control of Shane and his family and their lives, but there came a time that I reached a point where I realized I wasn’t nearly as in control as I once was. Now things happen that are just freaky with Shane and his story. It’s like, I’m the one writing the story and yes the words are coming out of the pen in my hand and through me onto the page, but it’s Shane that is living that life and doing those things. It’s his story now. That’s a crazy thing, but it has a real power. Check out the ‘Thousand Scars’ website! Send Tony Brady a friend request on Facebook! You can see some of my poetry by clicking this link!